Are you ready to start your own Pet Sitting Business???? Are you ready to start your own successful pet sitting business and be your own boss? If so, you are at the right place. Pet Sitting has been proven to be a great recession-proof, low cost start up business. We have provided you with all you will need to be set up for success. 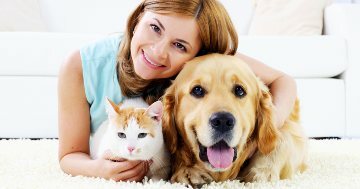 Below you will find professional and extrememly user-friendly pet sitting business forms which were designed by a professional pet sitter and have been tried and tested for over 16 years. Below are the forms you will need for your professional pet sitting business. We have put them in a few different packages to help you get a fabulous deal and you can also purchase them a la carte! To see a sample picture of the forms, click the name of each form listed below. With your purchase you will receive a FREE instruction manual on how and where to use your forms, FREE lifetime business support- we don't charge for coaching (have a question, ask us) AND FREE articles on how to start your own business! With these resources, you have all you will need to run a successful pet sitting business. These forms are suitable for those in the US, Canada, UK and all other countries. Please read our FAQ's for more information. A perfect package for your pet sitting and/or dog walking�business.� A total�of 25�professional forms which flow perfectly together to minimize paperwork for both you and your client. EVEN MORE FORMS�-41�professional forms.� A More Complete Package!� If you offer many pet care services, this is the package for you.� The following�services are included in this package:� Pet Sitting, Dog Walking,�Pack Walking, Pet Taxi, Waste Removal,�Large�Animal/Livestock Sitting,�Grooming�and House Sitting. Pet Sitting Service Agreement Contract designed to protect your business from liability.� Click the link for details on what is included in the agreement as well as a sample of what the agreement looks like. The pet sitting information�sheets�are a guide to help you and your client�provide the necessary information�to take care of their pets and their home. Get written permission to take the pet to the vet and release yourself of responsibility for payment.� Click the link for more information and a sample. Keep your clients updated by providing them with daily information on the care of their pets. Flyer to hand out to potential customers. Click the link to see a sample. Help your clients get ready for their trip and your visit with this form. Use this form for existing clients scheduling a reservation. Be prepared when called for a job! Use this rate guide for yourself so that you may properly relay rates to potential clients.� Also provide this as a reference to all your current customers. Know what, when and how to give any required medications. Document as you give the pets medication. Document any accidents or illnesses while in your care. Get feedback on your business and help your business grow. Provide a professional, personalized invoice for your customers. Make sure your IC's know exactly what is expected of them with this professional written agreement. ...After purchasing Pet Care Pro package and reading through all of the forms, I saw that there were dozens and dozens of considerations that would never have occurred to me; considerations ranging from service possibilities to legal considerations. ​I just wanted to send a little note to you to say THANK YOU SO MUCH!!!!!!!!!! These are fabulous! Your forms cover everything! (and a lot of stuff I never thought about) I have my first client this weekend and I feel much more confident in that I'll look a lot more professional. Thank you SO MUCH for getting the forms to us so quickly. I wish we had found your site sooner as your service agreement is by far the best one we've seen (and we looked at a lot!). It's professional, user-friendly and just plain good looking. All you will need to know to start your own pet sitting business.